Workspace organization impacts both the quantity and quality of work performed in an office environment. Of course there are innumerable studies showing either the value of a mess or the value of organization when it comes to work environments, but the fact is that workplace organization has an impact on people. At Oeveo, we take organization in the workplace seriously. Giving you the best possible environment for productivity, creativity, and happiness is what we plan to do. So how do we go about helping you with workspace organization? Well, our CPU holders are where it starts. We design and manufacture all of our cpu holders in the United States with a simple, minimalistic approach. We prefer to offer you a product that simply works because complex functionality is quite frankly useless for most computer mounting applications. So let's take a look at our mounts, and you decide which one works best for your needs. It doesn't get much more simple than this. 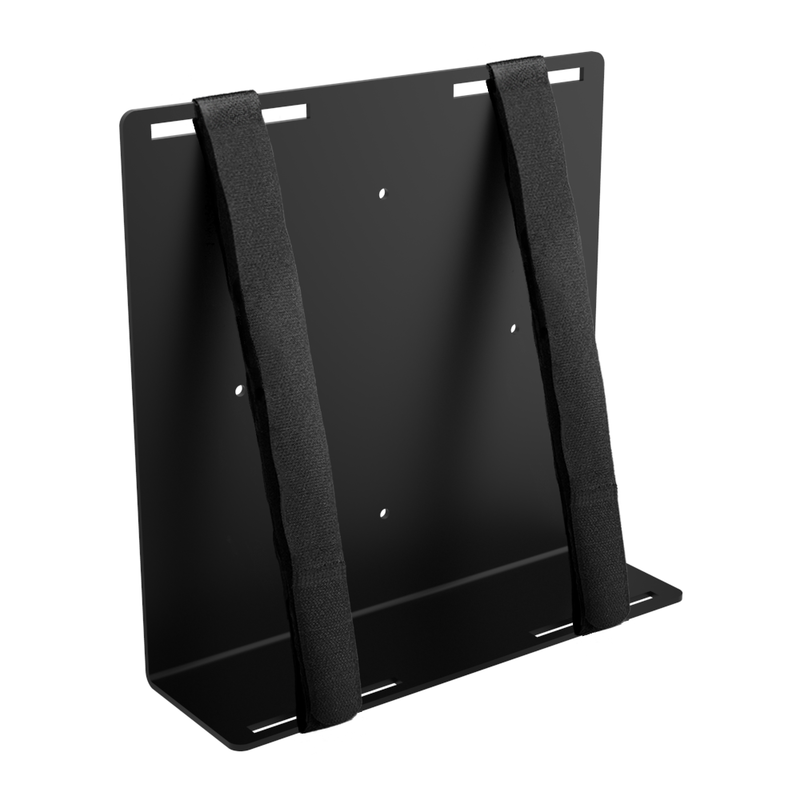 The Universal CPU Holder is a heavy duty mount with adjustable straps. It's simple setup is perfect for wall mounting PCs, UPS units, gaming stations, TV media streaming devices, A/V components, and more. We provide a few different sizes to fit virtually any application, so you can be sure that whatever device you need mounted, these Universal Mounts will do the job. 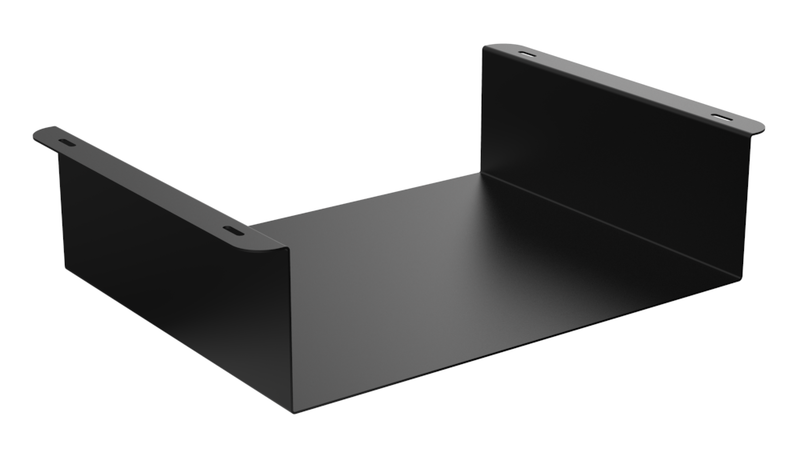 Simply designed to hold a CPU under a desk, table, or workstation, our Under CPU Holder securely hold your computer while maintaining its accessibility. 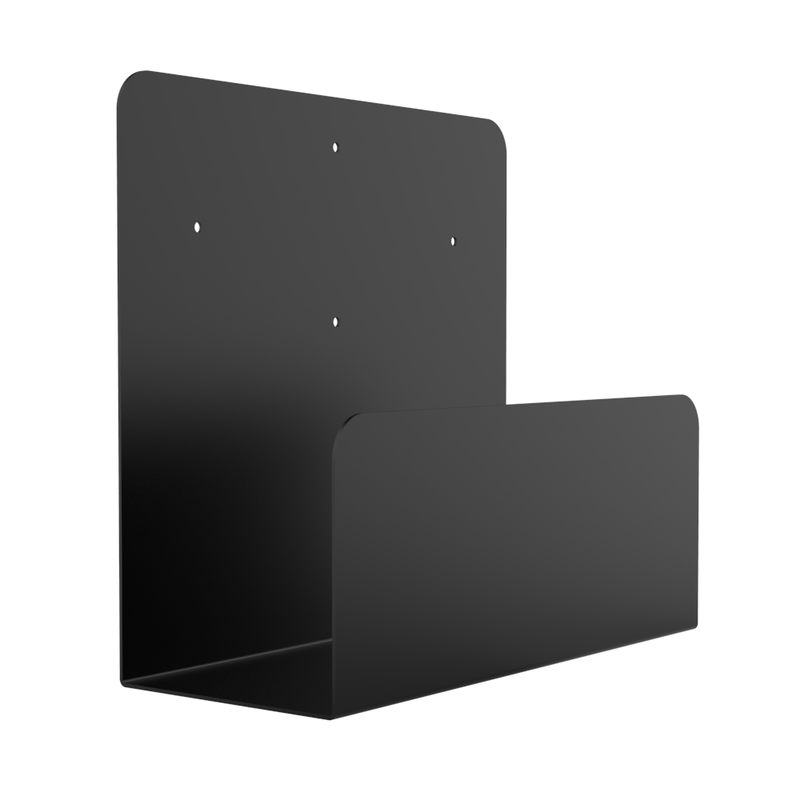 The Under Mount can also be used to hold your computer vertically on a wall or to the side of your desk, so they work great for a lot of applications. The Under Mount line comes in a variety of sizes as well, so again, we've got you covered. If not, we'll make you custom mounts to fit your application. Mounting your desktop computer can't get much easier than with a Side CPU Holder. It's open profile allows easy access to the ports and buttons on your PC, as do all of our computer mounts. The Side Mount is a computer wall mount, but our customers find creative ways to use it for other workplace organization applications. For example, our Side Mounts have been used as laptop charging stations, file organizers, computer and monitor mount POS system, etc. If it works, it works. While organizing your desk area and mounting your computer, make sure to consider organizing your wires, cords and cables. Interestingly, a lot of people disregard cable management. Why would you go through the process of mounting your computer, mounting your monitor, and organizing the mess on your desk, just to forget that the cables and wires are terribly annoying as well? We're not sure. That doesn't make much sense, but fortunately you can grab some cable management accessories to finish off the job. At Oeveo we know the value of an organized workplace, and we love helping others enjoy an environment free of clutter, unnecessary equipment (aka your desktop computer), and unruly cables. So please, let us know if we can help you today with your office organization project. We'll do it all.